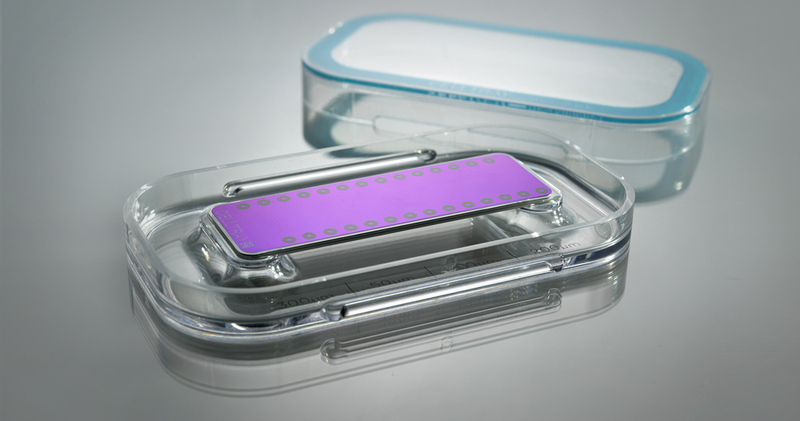 Nanopoint’s CellTRAY is proprietary microscope slide technology that allows precise placement and imaging of live cells. Tiny irrigation channels on the slide deliver nutrients, remove waste, and introduce test substances to the cells. This extends cell life and provides a ground breaking life science research tool. The design of the CellTRAY and its container deliberately communicate the value and precision of a technology that is otherwise invisible. Designed for Nanopoint with the Carbon Design Group industrial design team of 2006.